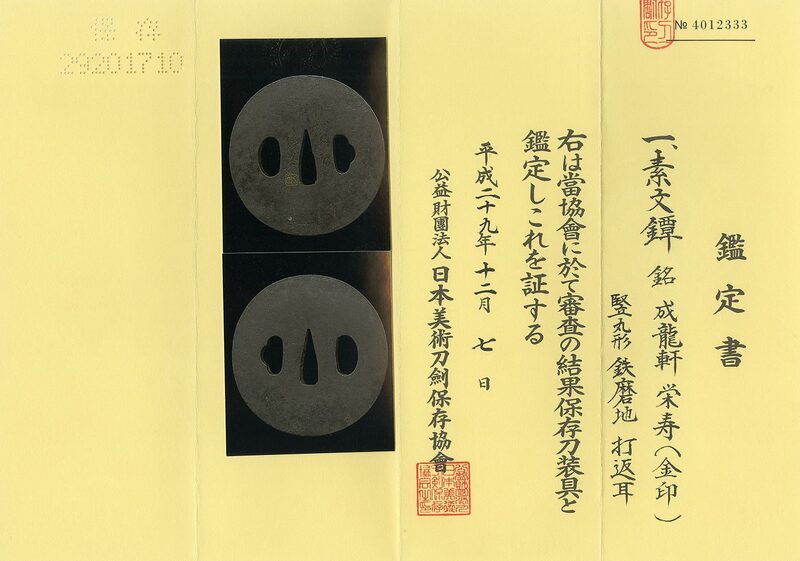 Special Feature : This is a round shaped iron Tsuba by Siryuken Eijyu. Eiju was active in Oosaka and Settsu from Edo period Tenmei era to Kansei era. It’s said that he was the student of Tetsugendo Naoshige.